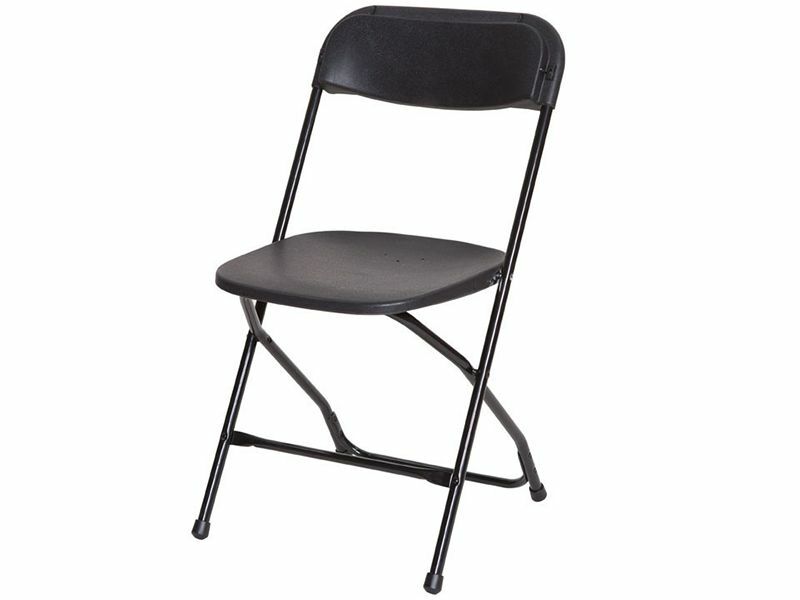 Folding chair. Black polyfold chair, resin seat and back with metal frame. Weight capacity 220 lbs.